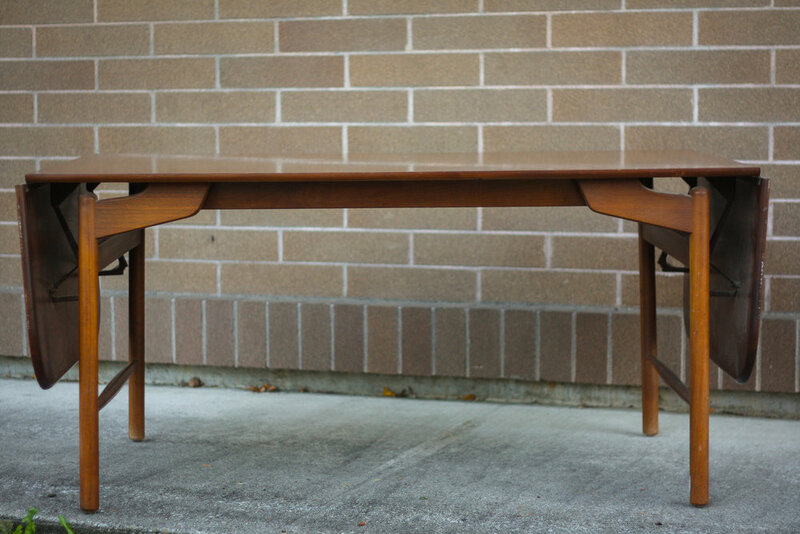 Quality Mid-century modern walnut dining table by iconic designer Greta Grossman for Glenn of California. Two extension leaves can be flipped up to nearly double the surface area in less than 5 seconds. Quickly collapse them when you don't need them to save space in your dining room. 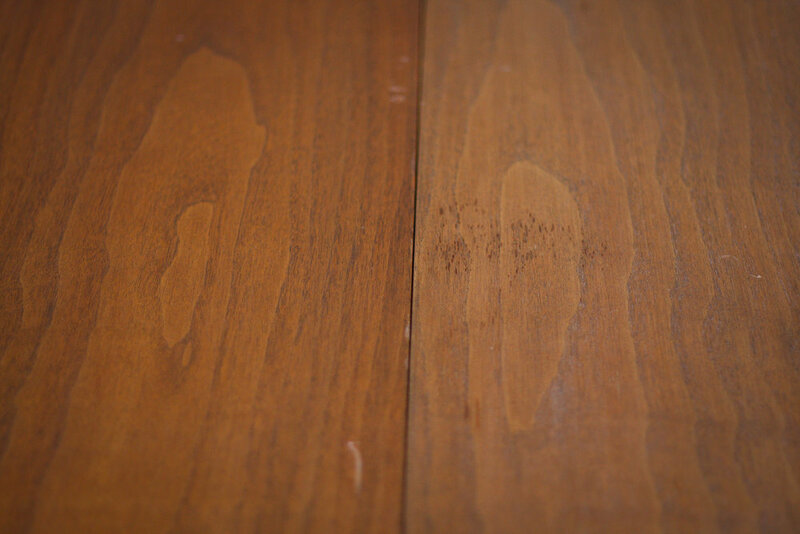 The table top has beautiful walnut grain. The classic, solid walnut, Grossman leg base can't be beat and is as much a piece of art, as it is a functional part of the table. 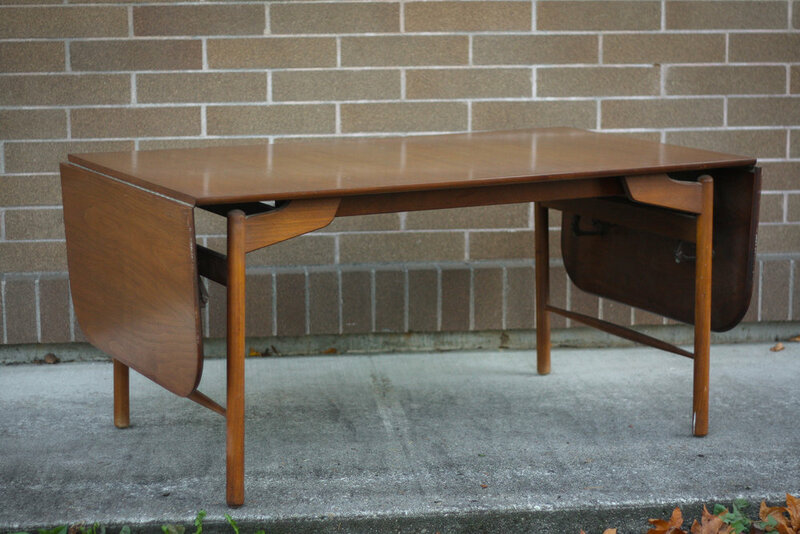 This beautiful table is in 100% original condition and shows very well. 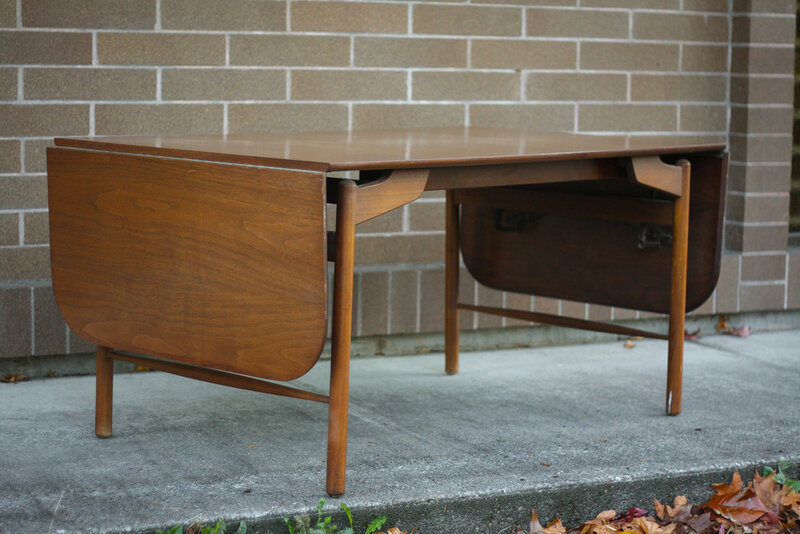 As is the case with any mid century piece, there will be minor cosmetic issues, specifically some paint transfer from walls, small scratches/marks, or other sutble imperfections. If you felt so inclined you could refinish the table to make it look like new, but we don't feel that is necessary as it shows very nicely. Dimensions: 61.5" x 28.5" x 35.75" Opens to 95.75" when fully extended.